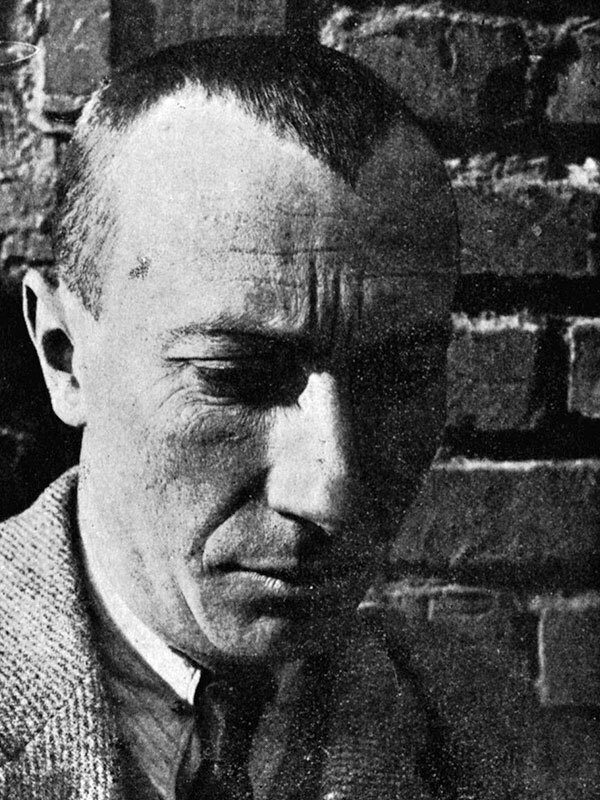 Jean Hans Arp (when he spoke in French, he referred to himself as Jean, and when he spoke in German, he called himself Hans) was born in Strasbourg, France in 1886. Starting in 1905, Arp studied poetry at the Art School in Weimar. His interest in poetry would later influence his art work, as Arp would play with ideas in poems that would morph into sculptures. In 1912, Arp connected with Wassily Kandinsky and joined the Blue Rider group of painters in Munich. He became close with painters like Henri Matisse and Robert Delaunay. After World War I, Arp was one of the founding members of the Dada movement in Zurich. In 1915, Arp met Sophie Taeuber, an artist and member of the Swiss Workshop of Arts and Crafts. The pair would marry in 1922 and frequently collaborate on artistic projects. During the rise of Surrealism, Arp’s biomorphic sculptures and collages were featured in the shows of the surrealists. When the Nazis invaded Paris in 1940, the Arps fled to Southern France and then to Switzerland. In 1958, Arp’s work was honored with a retrospective at the Museum of Modern Art in New York. Arp passed away in 1966, leaving behind a dizzying legacy of painting, poetry, and sculpture. His art is held in the permanent collections of the Museum of Modern Art, New York, the Tate Modern in London, and the Center Pompidou in Paris, among many others.